When you purchase a Certified Pre-Owned vehicle from our lot you can rest assured with the knowledge that your vehicle has undergone a rigorous 150+ point inspection and that all the repairs and maintenance needed on your vehicle were completed before you bought it. A Certified Pre-Owned vehicle requires more from a used vehicle to pass inspection than a regular Certified vehicle would. A vehicle's radio, air-conditioning and cruise control may not be working and the vehicle could still pass a regular certification inspection. With Certified Pre-Owned vehicles, however, not only must the radio, air conditioning and cruise control work, but many other additional requirements like a greater tire tread etc. are needed to pass. Certified Pre-Owned vehicles help take the worry out of buying a pre-owned vehicle with their rigorous quality standards and support programs. 150 + POINT INSPECTION - A vehicle's radio, air-conditioning and cruise control may not be working and the vehicle could still pass a regular certification inspection.With Certified Pre-Owned vehicles however, not only must the radio, air conditioning and cruise control work, but many other additional requirements like a greater tire tread etc. are needed to pass. 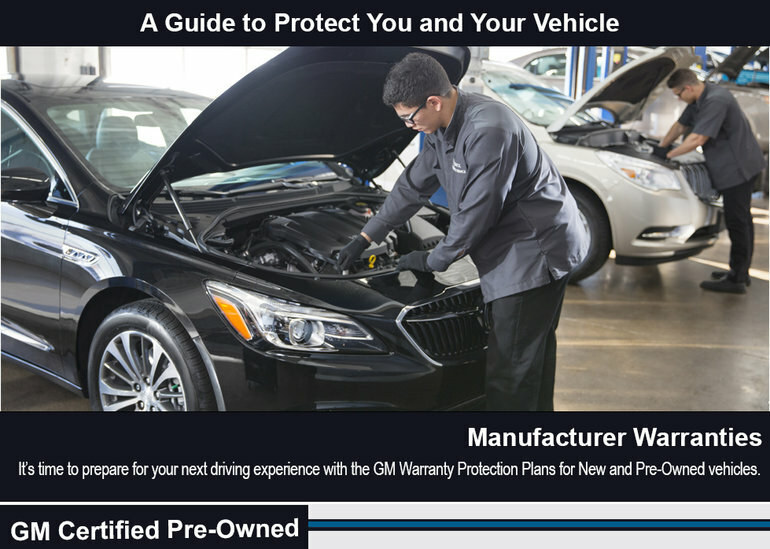 Another great reason to consider the added protection of the Certified Pre-Owned Protection plan would be the recent advances in automotive technology. The Certified Pre-Owned Protection Plan can not only guard you against these tough financial situations but also cover you for normal wear and help you with a rental/alternative transportation allowance. You can have your repairs covered at any GM Dealership in North America, have access to the toll-free hotline and potentially enhance the resale value of your vehicle. If you decide to sell your vehicle the remaining Certified Pre-Owned Protection plan coverage can also be transferred at no charge to you. Engine: Cylinder block, heads, all internally lubricated engine parts, manifold, timing gear chain/belt, timing gear cover, fly wheel, oil pump/oil pump housing, seals, gaskets, water pump, fuel pump, fuel level sensor, harmonic balancer, OHC carriers, valve covers, oil pan and engine mounts. Also covered are turbocharger/supercharger housing, internal parts, valves, intercooler, seals and gaskets. Diesel Engine:All the above engine parts, plus diesel fuel injection pump, lines, nozzles and vacuum pump. Transmission/ Transaxle: Case, all internal parts, torque converter, transfer case, transfer case encoder motor, transmission mounts, seals and gaskets. Front/Rear Wheel Drive: Final drive housing, all internal parts, axle shafts and axle shaft bearings, constant velocity joints, front differential actuator, axle housing, all internal parts, propeller shafts, ?u? joints, wheel bearings, locking hubs, supports, front hub bearings and rear axle hub bearings, seals and gaskets. Cooling and Fuel: Radiator, fan and clutch, engine fan motor, fuel tank fuel lines and fuel tank selector valve. Steering: Gear housing and all internal parts, hydraulic/electric power steering pump, steering main and intermediate shafts, couplings, idler arm, pitman arm, seals and gaskets, and power steering hoses. Front Suspension: Upper and lower control arms, control arm shafts and bushings, upper and lower ball joints, king pins, steering knuckles, seals, stabilizer shaft, stabilizer bushings. Rear Suspension: Upper and lower control arms, control arm shafts and bushings, seals, stabilizer bushings, coil and leaf springs. Brakes: Master cylinder, assist boosters, wheel cylinders, combination valve, hydraulic lines and fittings, disc calipers, seals, gaskets, modulator valve/dump valve, pump motor assembly and accumulator, ABS Hydraulic Modulator, ABS Module, sensors, relays, switches and solenoids. Electrical: Starter motor and solenoid, delcotron, distributor, wiring harness, wiper motors, washer pump, manually operated electrical switches, electronic control module, body computer/control module, powertrain control module, ignition module and electronic instrument cluster. Heater and Air Conditioning: Compressor clutch and pulley condenser, evaporator, accumulator, seals, high/low pressure compressor cut-off switch, heater core and blower motor, and air conditioning hoses. Power Accessories: Power windows, power door locks, power seat motors and adjusting mechanism, power antenna, cruise control, electronic level control compressor, sensor and limiter valve, factory-installed compass readout, thermometer readout and climate control programmers and radio /cassette/CD/MP3 player. High-Tech Features: OnStar system, factory-installed DVD entertainment system, XM Satellite Radio, power sliding door actuator and module, HID headlight ballast and start unit, remote keyless entry system, Head-Up Display instrumentation, right vision systems, anti-theft systems, and sunroof mechanism. Body and Interior: Safety belt retractors, glove box locks, hood latch and supports, door handles and lock cylinders. Also, includes fiber optic illumination of switches and gauges, sliding door mechanism, heating and air conditioning duct assemblies. 24-hour assistance for lost/locked ? in keys, flat tire changing, out-of-fuel emergencies, jump starts, plus lodging and meal allowances.